So here I sit. In my castle. Whiling my time away. I can get a mite bored – so I talk to my dog – but he usually doesn’t have much to say. So now I talk to a mic – because that’s less crazy – and it’s easy to convince myself that I am just procrastinating . . . and not being lazy. So – thanks for the listen – you get a gold star. Hopefully you will enjoy what you hear. Hardy-har-har-har. Yay, it’s a blast of a fun episode where we catch up with our favorite tiny pal, Ollie. Sit back, relax – and enjoy as we sing some songs, play some games, and breath like animals. Wheee! Pig does some doughnut talking, Producer sings a song, and Natty bursts in – typically flustered! Natty woke up in the middle of the night, sad about the state of the world, and emotional that his kids are growing up in record time. There aren’t a lot of laughs in this episode, just a lot of talky-talk. Be nice to one another. Bumperpodcast #327 – Is This Podcast Scripted? Natty Bumpercar and Pig get into a real row over the mailroom, and why people aren’t checking their mail slots. This bickering brings Rufus T. Rufus back to the show – where he lets everyone in on some secret learning that he’s been up to. 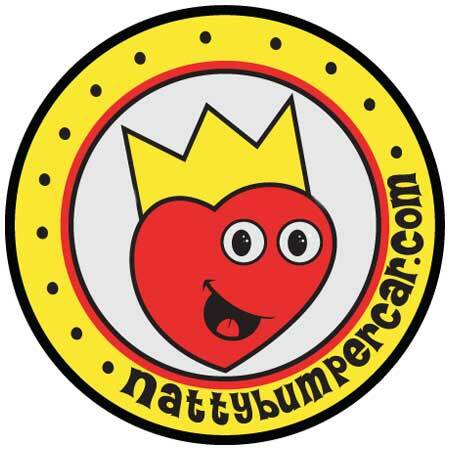 https://i0.wp.com/www.nattybumpercar.com/wp-content/uploads/2014/12/bumperpodcast_image_200-and-up_1400.jpg?fit=1400%2C1400&ssl=1 1400 1400 natty bumpercar https://www.nattybumpercar.com/wp-content/uploads/2008/04/sticker.jpg natty bumpercar2018-06-15 11:47:042018-06-15 11:47:04Bumperpodcast #327 - Is This Podcast Scripted? Natty went to voice training class – did it work? More importantly, what’s going on with Emerson? !